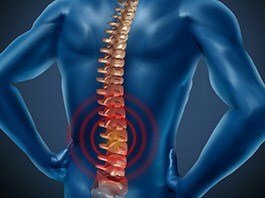 Spondylolysis or pars fractures is a disorder that results in the fracture of the posterior elements of the lumbar spine (pars interarticularis) that results in pain, muscle spasm and (rarely) instability of the vertebral bodies. This fracture is very common in children and adolescents who participate in certain sports, including gymnastics diving, track and field (hurdlers and high jumpers), offensive and defensive linemen, and volleyball, just to name a few. These sports have a high incidence of this injury because the injury is caused by hyperextension of the back. Treatment for this disorder is usually very conservative, with long cessation of the activity that caused the injury, physical therapy to strengthen the core and lumbar spine muscles, bracing and sometimes a bone stimulator to promote the healing of the bony fracture. These injuries can be very frustrating to the patient because they can take up to a year to heal up.